The Pakistani member of parliament has focused his political efforts on defending minority rights. He embraced the Catholic religion as a child, and counts on Christ in order to fulfill his new duties. 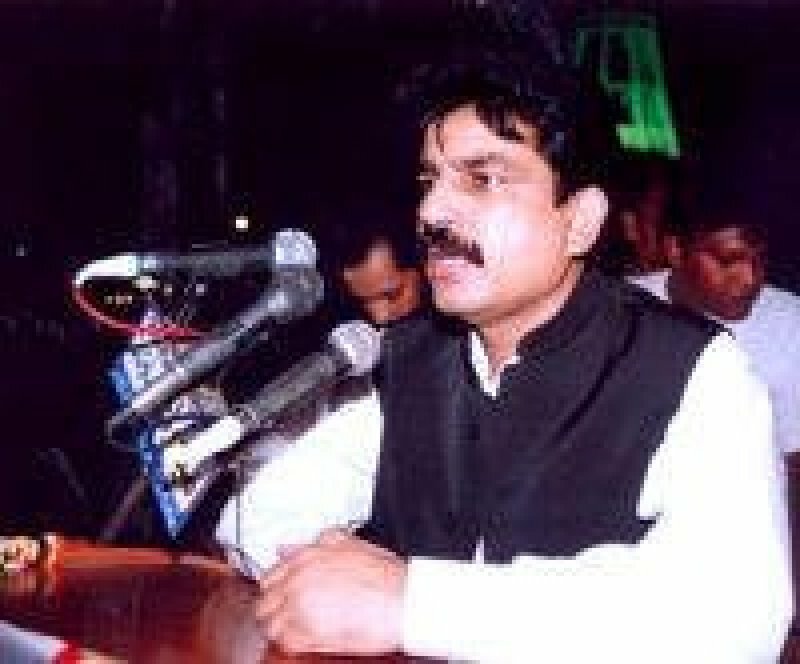 Islamabad (AsiaNews/ANS) - Shahbaz Bhatti, a Catholic member of parliament and head of the All Pakistan Minorities Alliance (APMA) is the new Pakistani minister for the defense of minorities. The appointment came on the night of November 2, and for the first time the position has the same stature as the other cabinet posts. In the past, protection of minorities was entrusted to a lower ranking official, who had to work under one of the government ministers. Bhatti, together with other members of the new executive, took the oath of office before President Asif Ali Zardari, during a special ceremony held on November 3 in Islamabad. Volunteers, workers, and sympathizers of the APMA celebrated by distributing sweets and dancing to the rhythm of drums. The association has always fought to promote unity, interreligious dialogue, social justice, human rights, and religious freedom for all minorities in the country: from Christians to Hindus, from Sikhs to Parsis, without any distinction. After taking the oath of office, the minister-elect said that he accepted the post for the sake of the "oppressed, down-trodden and marginalized" of Pakistan, and that he has dedicated his life to "struggle for human equality, social justice, religious freedom, and to uplift and empower the religious minorities' communities." He added that he wants to send "a message of hope to the people living a life of disappointment, disillusionment and despair." "Jesus is the nucleus of my life," says Bhatti, "and I want to be His true follower through my actions by sharing the love of God with poor, oppressed, victimized, needy and suffering people of Pakistan." Shahbaz Bhatti founded the Christian-inspired APMA movement in 1985. One of his first battles was against the law on blasphemy, introduced in 1986 and used to repress religious minorities in the country, with particular focus on the Christian community, the one hardest hit by the new norm. "I will propose legislative reforms for the promotion and protection of minorities' rights," the Catholic member of parliament adds. "I will speed up efforts to promote unity and understanding to tackle the issues of intolerance, hatred, prejudice and violence." Finally, he thanked president Zardari and prime minister Raza Gilani because they recognize the value of minorities for domestic equilibrium, giving "a sense of equality" in the rights of all components of Pakistani society. Bhatti embraced the Christian faith as a child, touched by the story of Christ's sacrifice for his people. As a young man, he organized meetings aimed at the study of the Word of God, before dedicating his life to the defense of minorities. He has received numerous recognitions over the course of the years, including the prize for religious liberty received in Finland in 2003, the peace prize given to him by an American organization in 1998, and a prize for his struggle in favor of human rights given to him in Canada the following year. In his work in parliament, he has never forgotten to make the voice of the marginalized and oppressed heard, whose rights he has promoted in every one of his political struggles.